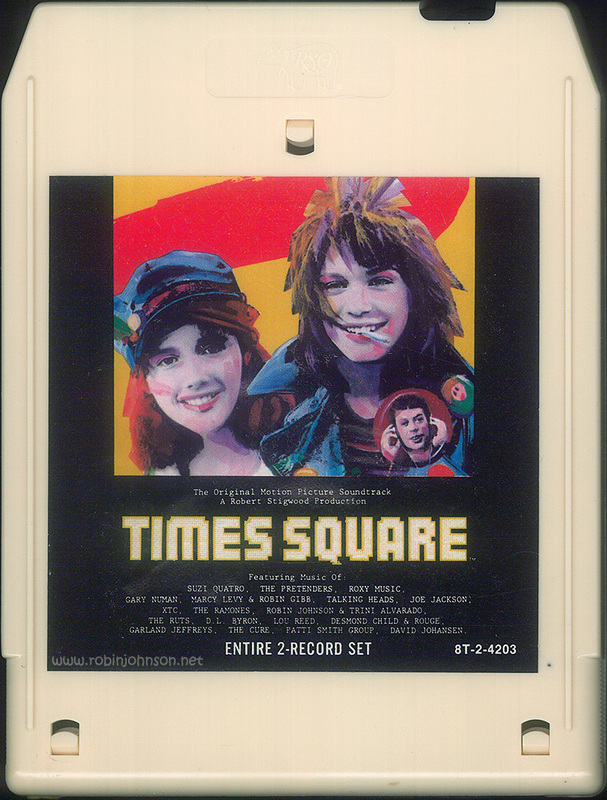 Posted on 28th November 2015 in "Times Square"
8-track tapes would be pretty much gone from U.S. music stores by 1982 (almost the same time as CD players made their debut), but in 1980 they were still a viable release format. 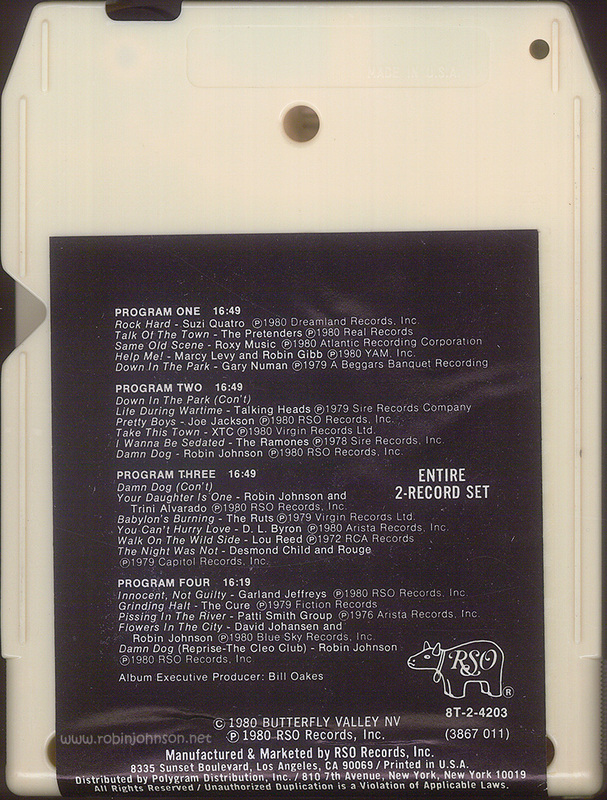 As did the cassette, the 8-track loses the back cover and interior gatefold artwork. 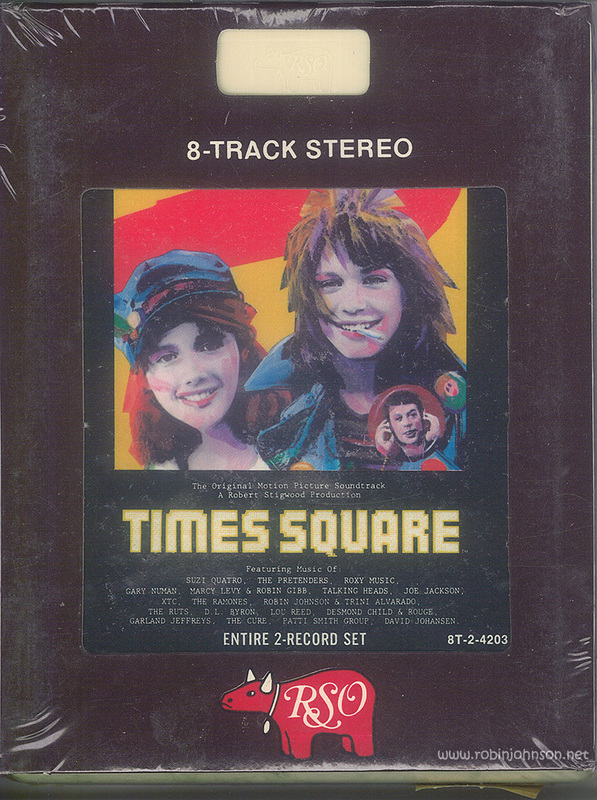 The front cover has all the text removed from the image and placed below it on the back background, and crops the art at the top of Nicky’s hair, making this the most art-deficient version of the soundtrack. This particular copy was sealed until 8 October 2015, when I opened it to scan it. 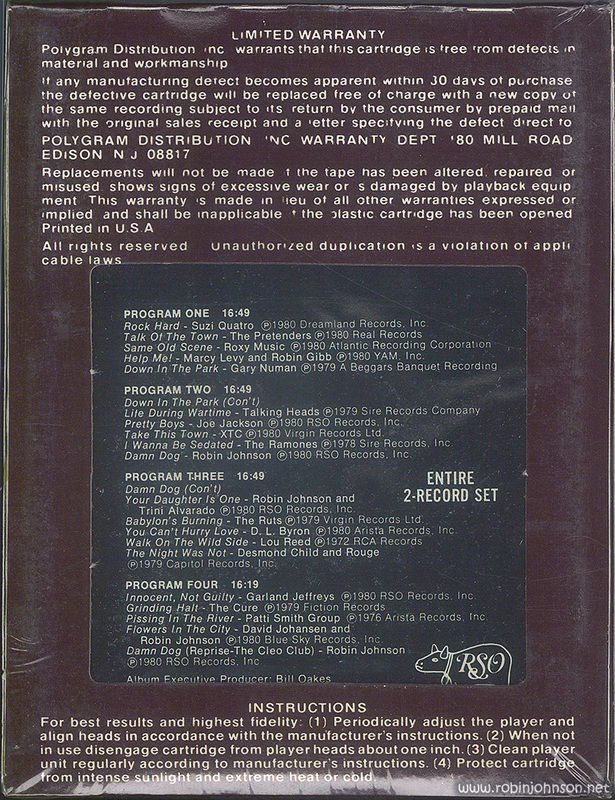 Here’s what it looked like in its box, in its cellophane wrap. The price is obviously an attempt to mark it way down to move it out of the store, an unsuccessful attempt it would seem, as I’m pretty sure I paid a bit more than that and as I said, it hadn’t been opened.